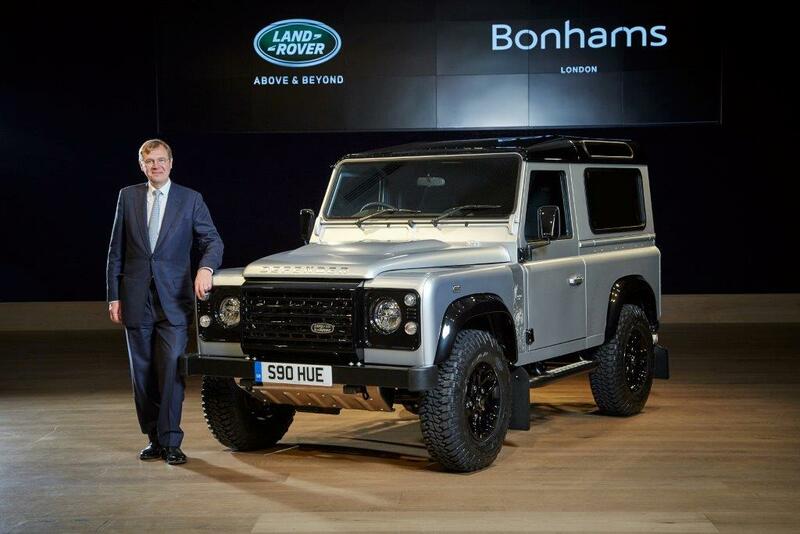 Land Rover have selected Bonhams to join them in celebrating 67 years of iconic Land Rover production by auctioning a unique vehicle that was built to commemorate the UK production of the two-millionth Series Land Rover and Defender. Bonhams will unveil the vehicle at Goodwood Festival of Speed, being held 25-28 June. After completing a schedule of public appearances throughout the rest of the year, ‘Defender 2,000,000’ will be auctioned at a prestigious charity event, taking place at Bonhams New Bond Street salerooms on Wednesday 16 December. 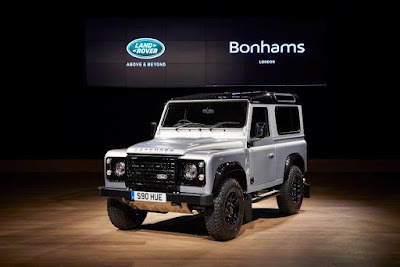 Reflecting Defender’s heritage, all proceeds of the sale will be donated to Land Rover’s humanitarian and conservation partners – the International Federation of Red Cross and Red Crescent Societies (IFRC) and the Born Free Foundation. “Over 67 years, the Series Land Rover and in turn Defender has been the transport of choice for explorers, charity organisations, farmers and even royalty. Throughout history it has helped pioneers to reach the unreachable. What started life as an agricultural workhorse has transcended the automotive world to become a worldwide design icon. I was honoured to join the production line team in Solihull to help build this unique vehicle. It was a special experience which will no doubt become a fond memory.